At gourmetpopcorncans.com we specialize in shipping popcorn tins for all occasions. We have been serving our fresh and delicious gourmet popcorn made with our secret family recipe in the Kansas City area since 1989. We realize there are many places for you to purchase gourmet popcorn tins and so we are committed to making the best popcorn on the market. We not only want you as a customer today but for many years into the future. Our best advertising has always been word of mouth and that has enabled us to sell thousands and thousands of our gourmet popcorn cans. We have holiday popcorn tins or year round popcorn tins for any occasion. Gourmetpopcorncans.com is a division of Custard's Last Stand. We offer a wide variety of popcorn tins. We specialize in making gourmet popcorn by using the best ingredients from the popcorn seeds we pop to the sugar we use in our gourmet popcorn recipes. 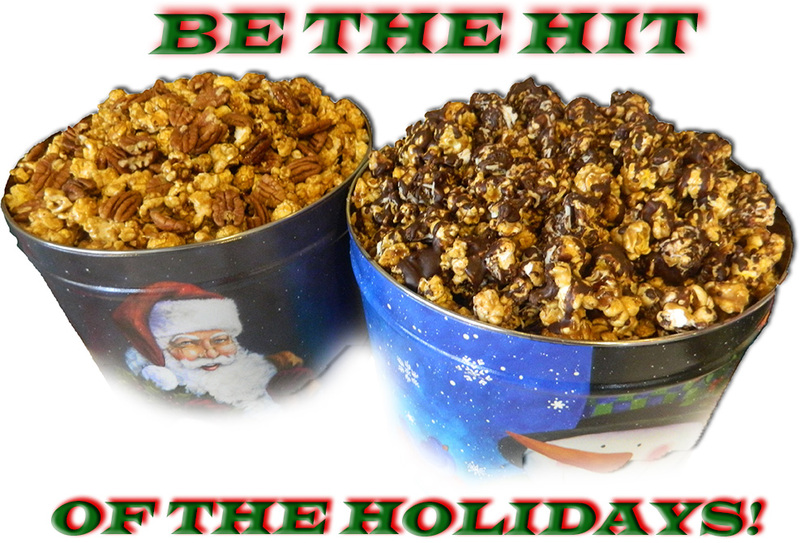 Our basic flavors are caramel popcorn, cinnamon popcorn and cheese popcorn. We are always coming up with something new and our specialty flavors include caramel pecan gourmet popcorn and chocolate caramel gourmet popcorn. You can visit a location or order online and receive the same delicous product. We have been producing superior gourmet popcorn in the Kansas City area since 1989. Gourmetpopcorncans.com is a division of Custard's Last Stand with locations in Lee's Summit and Blue Springs, Missouri. Copyright www.gourmetpopcorncans.com. All Rights Reserved. eCommerce Software by 3dcart.